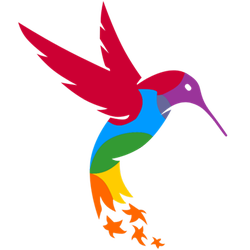 In September 2013, Google released its Hummingbird algorithm. Interestingly, it did not announce it until a month after it went live to see if the usual backlash of outcries of foul play etc… still happened. There was silence. When they announced it a month later in October 2013, there followed major outcries of Google playing foul and the usual backlash of “we had been completely flummoxed why our rankings had dropped – and now we know it was Google’s fault all along!”. The moral of the story? Sail your own race. Google’s goal is to improve the quality of its organic search results all the time and, in recent years in particular, it has achieved just that. Google’s Hummingbird algorithm replaces entirely its old algorithm inclusive of all its code-named updates over the years such as Caffeine, Panda, Penguin etc… Much of the functionality of these updates remain, but they have a whole new shiny engine to run the machine that is Google. If Hummingbird delivers on its promise, the quality of Google’s organic search results is about to take a quantum leap forward and will be even more difficult for anyone else to catch. For Google, hummingbird means “fast and accurate”. For the rest of us, it heralds the introduction of something you’ll be hearing a lot more about – “semantic search”, or “intent-based” search. In essence, hummingbird lets Google process a whole lot more data in order to ascertain, as best it can, what the true intention of a particular search query is. To arrive at its conclusion, hummingbird now considers several factors which have big implications for future website owners who want to build, retain or grow their search presence on Google. address the optimisation, not just of the key-phrase in the search query, but also of the qualifiers around the keywords; the terms that provide context to the search or which imply what a searcher would like to do once they have arrived on the website page they are looking for; eg. “Where can I purchase a pink pearl necklace for under €1,000”. address the geographic location of the searcher; prove to Google why your page should be placed ahead of another competing page that may be more local to the searcher. target not just the demographics of the target audience, but their propensity to buy online or otherwise, their behaviours – their psychographics if you will. But it is not just Hummingbird that is happening right now. 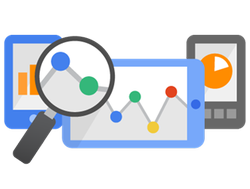 Google’s Analytics are changing radically, removing search phrase data that once told you what exact queries brought traffic to your website. Google’s SEO team doesn’t want you to think of keywords anymore. They want you to think of content – how individual pages are performing based on the actions taken by the traffic which they generated. Nothing has changed here – poor traffic quality means poor sales. Great traffic quality translates to higher conversions. What has changed is the perspective that websites should be search optimised based on content quality (insofar as Google can ascertain it) rather than targeting key-phrases. Key-phrases have not gone away however. 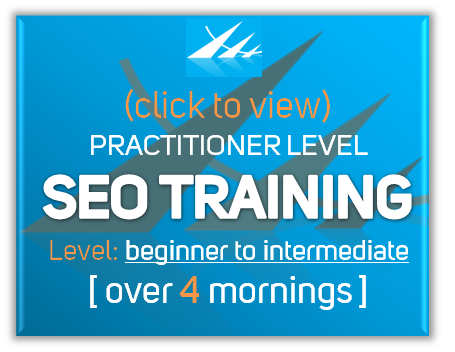 They will still be a key component in attracting high quality traffic to a website. But in addition to that, Google wants you to focus on what exactly it is you want the visitor to do once they get to your website. – and Google cannot always determine that! So, Google has come up with an algorithmic solution that it has historically used to great effect in calculating the quality scores in its AdWords programme. This is the idea that every searcher has a “problem” to which they are looking for a “solution”. If you can therefore communicate to Google, within your content, what the problem is that a particular page solves, what the solution offered is, and how that solution is exercised on or actioned by a visitor, then Google’s need is addressed. That’s not easy to do and will likely be an on-going challenge in 2014 and beyond. However, Google has certain tests that can be done on content that indicate the quality of a particular piece of content. During 2013, Google embraced the idea of “Author Rank” and “Publisher Rank”. With this idea, it brought the concept of “reputation”. So one of these tests for quality content is to attempt to authenticate the Author and / or Publisher against a recognised source of additional information – initially, that has been Google Plus. The higher your Google+ reputation, the stronger the ranking boost will be for your content, irrespective of where it is published – as long as it is “connected” to your Google+ account. And it’s not just Google plus. Google want to understand your wider internet footprint and, if you “connect the dots” for Google to complete its wider authentication, then you are putting your best foot forward each time you write or publish new content. This new “single view of you”, is a far more reliable way for Google to score content based on the reputation of its author. For all these reasons, Google’s Hummingbird completes a very comprehensive sea-change in how future search engine optimisation will be carried out. The term SEO will remain, but its processes will require significant change to meet the new challenges of tomorrow’s semantic search.